CART now offers webinars that further the learning for Recovery Coaches and/or anyone looking to further their knowledge when providing peer support services to those who have an addition to alcohol or other drugs. CCAR has been recognized as an approved training provider with the Connecticut Certification Board and all sessions will offer CEU credit. 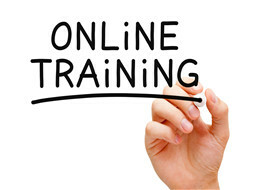 These online webinars will not only sharpen your skills as a Trainer, and or Recovery Coach, but will provide you with the hours needed to obtain, or maintain, certification as a Recovery Coach. Each webinar will last approximately one (1) hour, and participants will be awarded one (1) CEU for their attendance. Graduates of the RCA will be able to review modules of the CCAR Recovery Coach Academy, while learning about how to use those skills. A one year membership costs only $99.00. All webinars will be recorded and can be accessed online anytime after the air date, once you make the purchase.